Pigeons have mastered the trick of co-existing with humans. Subsisting, it would appear, entirely on a diet of cigarette butts, they resist every effort at removal. They have been called "rats with wings" by the mayor of London. However, pigeons are capable of acquiring cosmopolitan tastes -- as connoisseurs of French impressionistic art. Amazingly, pigeons can tell the difference between paintings by Monet, Renoir and Cezanne -- and Picasso, Braque and Matisse --- (as long as the Impressionists were placed right-side up). It appears the birds are able to recognize objects in the impressionistic paintings -- but (like most of us) were confused by the jumble of images in the Cubists. Pigeons were also able to recognize the "Peanuts" cartoon character Charlie Brown -- even when parts of the image were scrambled together. Similar experiments with music showed pigeons discriminating between the composers Bach and Stravinsky, and accurately classifying intermediate musical styles. The experiments were done in a "Skinner Box" where birds were rewarded with food then they pressed the lever indicating the correct answer. 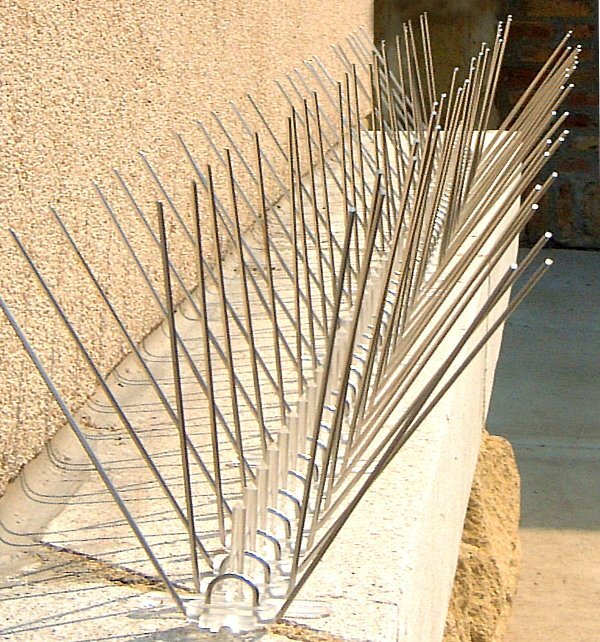 Pigeon training of this type was pioneered by the psychologist B.F. Skinner, who showed birds could be conditioned to perform complex tasks to get food. Skinner also noticed that then food was given randomly, pigeons developed behavior akin to human superstition -- performing repetitive, meaningless behaviors, like a gambler blowing on a pair of dice to help roll a winning number -- showing the pigeons were actively making associations about actions that might control future events. Pigeons are expert navigators, able to travel up to a thousand miles of unfamiliar territory to return to their roosts. 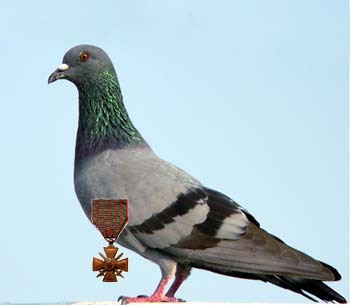 And of course, no essay about birds is complete without mentioning the famous homing pigeon Cher Ami -- awarded the French medal Croix de Guerre for his heroic service during World War I. He is now stuffed, and on display in the Smithsonian.